The Diplomat says in its article “Why is China Developing a New J-11 Variant?” that China has developed a new variant of J-11 the J-11D “4++ generation” air superiority fighter superior to Russia’s Su-35 that China has imported. According to the article, Su-35 was developed in 2000s with technologies developed in the 1990s while the J-11D as a later development with newer technology is considerably more sophisticated so that it will very likely surpass Su-35 in its combat performance. J-11D integrates some of the most capable Russian military aviation technologies. It uses more composite materials for a stronger but lighter airframe. Its electronic warfare systems and sensors are the latest development comparable with J-20’s and more advanced than Su-35. In addition, some stealth technologies are adopted in J-11D, such as radar absorbent coatings to reduce its radar cross section. J-11D uses WS-10A three dimensional thrust vectoring engines to make it highly maneuverable. It carries China’s new PL-15 air-to-air missile with a 150km engagement range longer than the R-77 and extended range variants of the R-27 used by Su-35. Compared with China’s new 5th-generation stealth fighter jet J-20, it can carry larger missiles with far wider range than those carried in J-20’s internal weapon bay such as the ship hunting YJ-12 and ramjet powered PL-21 “AWACS hunter”. With comparable electronic warfare systems and sensors, and with some stealth technologies of its own, J-11D is an effective next generation complement to the J-20 for decades to come. Moreover, it is likely to be considerably cheaper to operate and easier to maintain. Comment by Chan Kai Yee on The Doplomat’s article, full text of which can be viewed at https://thediplomat.com/2019/04/why-is-china-developing-a-new-j-11-variant/. Rick Joe’s article “Armchair Generals Conclude China’s Latest J-20 Fighter Isn’t Maneuverable. Wind Tunnel Experiment Proves Them Wrong” published at checkpointasia.net on April 14 makes clear that analysts are wrong in believing that J-20 is not agile enough to be an air superiority fighter jet. The website claims that the source of the article is The Diplomat. It cites Chinese expert Dr. Song Wencong’s essay “Aerodynamic configuration study of a small aspect ratio, high lift aircraft” to prove that the aerodynamic configuration of J-20 enables J-20 to be agile. The essay if very professional not fit for laymen to read. However, Rick Joe’s conclusion is based not only on Song’s essay but also on AVIC’s J-20 brochure and interviews with J-20 pilots. J-20 is designed to compete with F-35 and F-22! Tension in the South China Sea between the Philippines and China may lead to a war between the two nations instigated by US Secretary of State Pompeo’s promise to fight for the Philippines when Philippine military has been attacked by China. Who attacks first is always a question difficult to answer in history. It seems Pompeo wants the Philippines to attack China first to start a war between the US and China. As USS Wasp carrying 20 F-35s on board is now present in the South China Sea. What Pompeo wants is certainly an air combat between the US and China that will soon end like that between India and Pakistan. Perhaps Pompeo is interested to find whether F-35s from USS Wasp are better than J-20s in the air combat instigated by him. I must have used the word “prove” instead of “find”. Pompeo must believe that F-35 is superior to J-20. Otherwise, he would not have been so bellicose. Pompeo certainly does not want to see any F-35 shot down by J-20 with its pilot captured by Chinese fishermen. Therefore, both Pentagon’s footage about F-22 and F-35 and PLA’s footage about J-20 described in mil.huanqiu.com’s report on March 8 aim at telling potential enemies how powerful its fighter jets are in order to subdue potential enemies without fighting. The footage certainly entertains layman military fans but if the footage fails to show fighter jet experts of potential enemies the overwhelming strength of the fighter jet concerned, it is worthless. On the contrary, if it shows weakness of the fighter jet, it will get precisely the opposite, i.e. making potential enemies bold instead of deterring them. Recent footage about J-20 shows that it turns in a curve with larger radius than F-22. It seems to laymen that the footage shows J-20’s weakness compared with F-22. Fighter jet experts explain that the turning maneuver in the footage shows J-20’s great spiral angular velocity in turning. When an F-22 finds it is in danger of being attacked by an enemy fighter jet behind it, it has to take a sharp 180 degree turn to avoid the attack and go to the enemy fighter jet’s back to counterattack. That is not the case with J-20. It only needs to turn its nose quickly to enable its pilot to look at the enemy fighter jet and fire a dogfight missile against it. In such case, great spiral angular velocity counts. The footage about J-20’s superb maneuverability for both beyond visual range and visual range combat is quite enough to subdue F-22 without fighting. J-20 designer Yang Wei is of the opinion that three factors determine the advantages of a fighter jet: its engine, pneumatic functions and its pilot’s flight skill. We do not know what engines the four J-20s in the footage use as the report on the footage only gives experts’ view on its pneumatic advantages of relatively great sweep and small aspect ratio of wings and great fuselage fineness ratio. I said in my post yesterday that it gave me the impression that WS-15s were not used in the four J-20s. That was but my impression. I really have no idea what engines are used in them. However, it is quite possible that my impression is correct because if WS-15 is mature enough to be installed on J-20, there must first be a prototype of J-20 installed with WS-15 to go through intensive tests. If the tests are successful and serial production of J-20 equipped with WS-15s has begun, it takes time to train enough pilots to fly the four J-20s installed with WS-15. I believe that there might not have been a footage of four J-20s installed with WS-15 not long after J-20 was commissioned. It is clear that WS-15 is more powerful due to the use of new alloy so that it will greatly enhance the performance of J-20 that has already shown its superb maneuverability due to its pneumatic design and pilot skill though without ideal engines. The footage tells expert viewers that J-20 without WS-15 is enough to subdue F-22 without fighting. I mentioned in my post “Advanced Helmet, PL-10 Missile Ensure J-20’s Killing of F-35, F-22” on March 10 that according to US well-know aviation website the Aviators’ article in July 2014, some F-22 pilots worry that F-22 will lose its superiority when J-20 is commissioned as they have learnt J-20’s dogfight capabilities with its advanced helmet and PL-10 dogfight missile. However, they may find comfort in J-20’s engines. According to media’s report and information from other sources, WS-15, the very powerful engine that China has been developing, is not mature enough to be installed on J-20. Modern air combat begins at beyond visual range. At such range, J-20’s superb dogfight capability with advanced helmet and dogfight missile is useless. It is believed that due to J-20’s inferior engines, its maneuverability must be inferior to F-22; therefore, F-22 can easily shoot down or damage a J-20 before the J-20 comes within visual range for dogfight. True for combat at beyond visual range, a fighter jet must be fast in acceleration and climbing up so as to be able to take advantageous position earlier than the enemy. For that it shall have supersonic cruise capability. Such capabilities will enable its missile to have greater initial speed and height. Mil.huanqiu.com says in its report “Two dragons raise heads in February! Four J-20 Mighty Dragons were showcased the same time with overbearing appearance” on March 8 that recently Chinese military shows footage of the drill of 4 J-20s. J-20’s various maneuvers displayed in the footage indicates J-20’s very strong accelerating ability especially in climbing perpendicular up full load with six missiles in its weapon bays. A fighter jet cannot do so if its thrust-weight ratio in air combat is not larger than 1. J-20 achieves such thrust to weight ratio as it is able to reduce the resistance when it breaks sound barrier due to the relatively sharp sweep and small aspect ratio of its wings and its relatively large fuselage fineness ratio. Note: The article does not mention J-20’s engines. That gives the impression that WS-15 engines are not used in the J-20s shown in the footage. It is clear that if WS-15s are used, J-20 will be even more superb in its maneuverability. That will certainly scare F-22’s pilots to death. In recent air battle between India and Pakistan a Russian Mig-21 Bison in Indian air force shot down a US F-16 in Pakistani air force. The shocking news is regarded as a fake but if it was a fake why the US has to send some of its experts to make an investigation. Mig-21 is a very old fighter jet but the Mig-21 Bison in Indian air force is a new version upgraded in 2002. By comparison the F-16, also a very old type of fighter jet, though frequently upgraded, its version in Pakistani air force is older than Mig-21 Bison. A retired Russian air force general claimed that Indian story was reliable as Mig-21 Bison is an upgraded version of Mig-21 Bis with great improvement especially the advanced Tarang Radar warning Receiver (RWR) and the new Helmet Mounted Sighting System, which enables the pilot to launch an Air to Air Missile at off bore angles, simply by turning his head towards the target. The new helmet has greatly enhanced Mig-21’s dogfight capabilities. It is believed that Indian pilot shot down an F-16 with the help of that helmet. J-20’s helmet is much more advanced than Mig-21 Bison’s. It shows the pilot all the data and information he needs to see without looking down at the panel. Its pilot can fire and hit the target he looks at without locking on the target. F-35, however, is so backward that its pilot has to look down at its panel and try hard to lock on his target while he is busy controlling his airplane. There has been no reliable information whether J-20 has a cannon or not as inability to find one in its photographs cannot prove that. However, I believe with the dogfight capability of J-20’s helmet and PL-10 dogfight missile, there is no need for a cannon. In my opinion, National Interest article is stupid in regarding a canon as indispensable based on air combat experience in 1960s and 1970s. Britain sent a battleship and cruiser to defeat Japanese navy based on its experience in World War I resulting in both warships being sunk by Japanese aircraft carrier. Britain failed to pay attention on development of mechanical army or air force before World War II based on its World War I experience while Germany developed powerful advanced mechanized army and air force to conquer France and brought terror to British people with frequent air raids. Technology is developing much faster now than the period before World War II. China and Russia are using the most advanced technology to create new weapons and ways of combat while the US still sticks to its 1970s’ experience. No wonder F-35 becomes J-20’s prey now. J-20 pilot in helmet, a magic one compared with F-35’s. Note: the helmet is but a common one similar to those used decades ago. There is no official information whether J-20 has a cannon or not, but National Interest is happy at the speculation that J-20 does not have one as no bulge or opening for cannon has been found in photographs of J-20. However, its article “Problem: China’s J-20 Stealth Fighter Doesn’t Have a Gun” on January 3, 2019 does not fully reveal its happiness that US fighter jet, even the non-stealth one, can kill a J-20 in dogfight. The word “Problem” in the article must be J-20’s problem, but it reads as if it is America’s problem. Who’s problem is it after all? The two photos at top show how backward F-35 pilot’ helmet is compared with J-20 pilot’s. The former is taken from Popular Mechanics’ article “An F-35 Pilot Explains What It’s Like to Fly the Joint Strike Fighter” dated March 5 and the latter from mil.huanqiu.com’s report “Two dragons raise heads in February! Four J-20 Mighty Dragons were showcased the same time with overbearing appearance” on March 8. In combat between stealth fighters, J-20 can discover and attack F-35 earlier as it is heavier able to carry more powerful radar, but F-22 is able to carry a radar as powerful so that they find each other about 80 km away. Due to their high supersonic cruise speed, they are only less than 80 seconds away when they fire long-range air-to-air missile at each other. When they find both their missiles have missed their targets, they are so close that their pilots will be able to see each other’s plane. 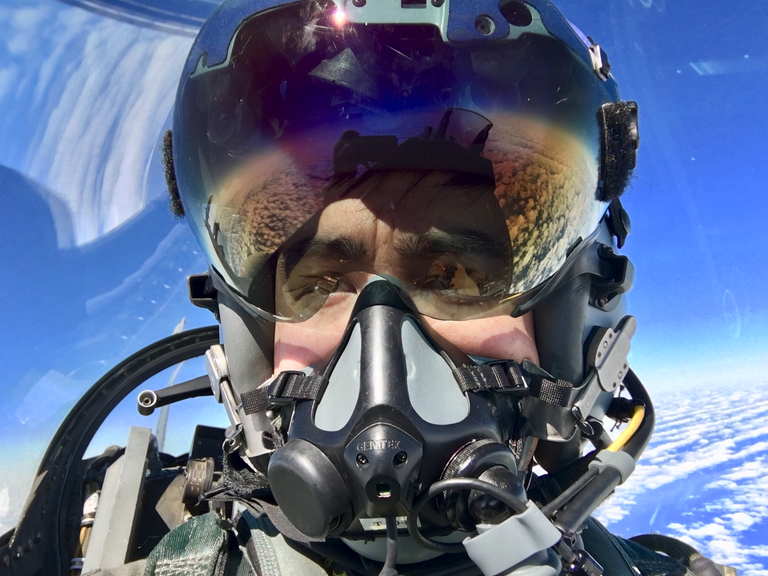 F-22 pilot starts to lock on J-20 to fire his short-range air-to-air missile, it takes some time but according to mil.huanqiu.com’s report, with the advanced helmet J-20 pilot can immediately fire its PL-10 dogfight missile at F-22 he looks at. As a result, J-20 can fire at the enemy early. PL-10 is highly maneuverable and will hit the target that J-20 pilot keeps looking at through the helmet no matter how its target maneuvers. The missile is guided by photoelectric system so that electronic jamming to disturb J-20’s radar does not work. J-20 pilot will keep on looking at F-22 and ignore the decoy F-22 releases; therefore, his target will surely be hit by his PL-10 dogfight missile. Moreover, the report says that PL-10 can be fired at target an angle away from the direction J-20 is flying. When J-20 pilot find an enemy fighter jet an angle away from his direction, he has just to turn his head to look at the enemy and fire his PL-10 dogfight missile to hit the enemy fighter jet. As F-22 fires its missile at least a second or two late, when PL-10 come to the distance of sure hit, J-20 will have enough time for maneuver to avoid being hit by F-22’s missile. When F-22 has been destroyed by PL-10, its missile loses the guidance of its radar or photoelectric system. National Interest’s article on the indispensable need of a cannon for a fighter jet in dogfight is based on US experience in the air combats in Vietnam War that ended in 1975. It entirely ignores the development of modern technology. A cannon has only a range of 800 feet and is too slow to lock on and inaccurate. When the target is a stealth fighter jet with high speed maneuverability, the probability of a stealth fighter jet flying to the position within 800 feet behind an enemy stealth fighter jet is too thin to justify the space and load taken by a cannon and its ammunition. China’s invention of advanced helmet and PL-10 has greatly enhanced J-20’s dogfight capability and enable J-20 to kill whatever US fighter jet in dogfight. As a matter of fact, as far back as in July 2014 US well-known aviation website the “Aviators” revealed in an article the capabilities of J-20 and PL-10 missile in dogfight. According to the article, unlike the US missile carried by F-22, PL-10 has better view when carried by J-20. It does not require the F-22’s complicated move of locking on its target after launch by the pilot. 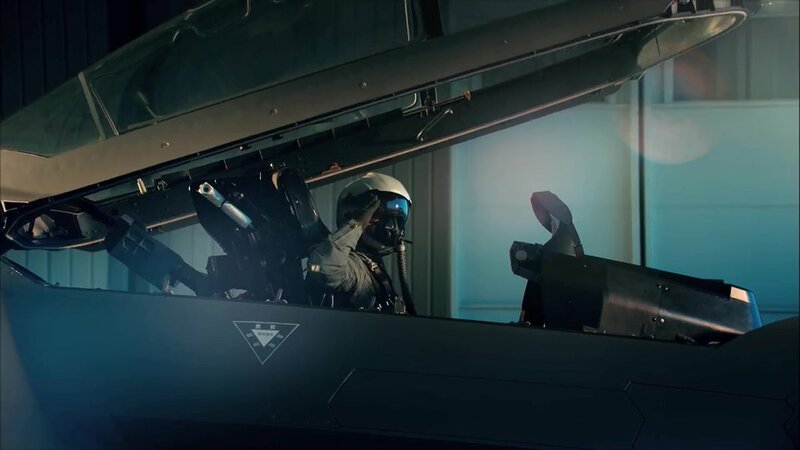 The pilot’s helmet of J-20 is so advanced that when a PL-10 is launched, it will hit at the target that the pilot looks at. As it takes time for an F-22 pilot to lock on a J-20 in a fight between the two fighters, the simplicity in taking aim enables J-20 to fire its PL-10 earlier and hit an F-22 earlier. The article revealed that some F-22 pilots’ worry that when J-20 stealth fighters have been commissioned in Chinese air force, F-22 will entirely lose its superiority. Therefore, what I reveal here is by no means a secret about J-20. In my opinion, there is no need for a cannon on J-20. There are lots of magic functions of the helmet. I will disclose what can be disclosed later.